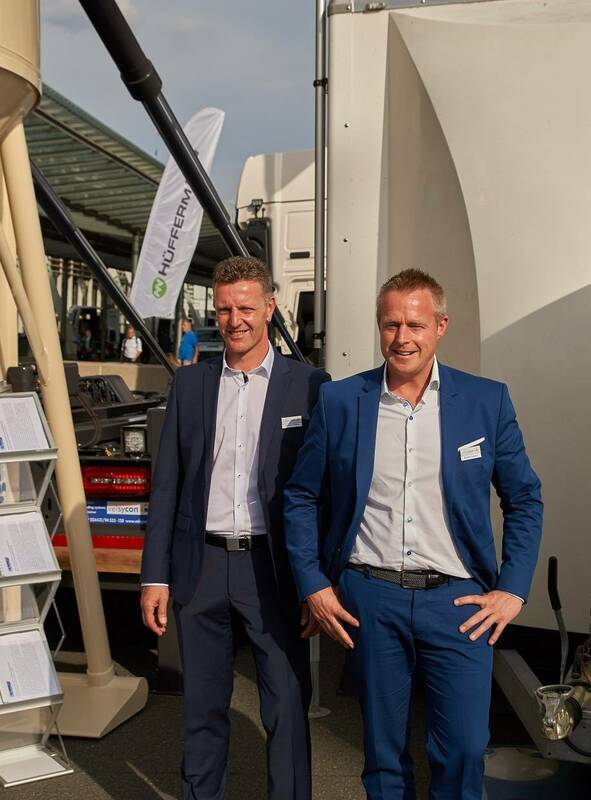 “Velsycon, the producer of the double-pocket silo placing unit and the special Combilift hook roll-off tipper assembly model series is very satisfied with the outcome of the trade fair”, reports managing director Daniel Janssen. Customers and prospects not only from Europe but also from the Middle East, Asia and overseas visited the company at the trade fair. The double-pocket silo placing unit, which is available as a stand-mounted version for tractors, as a tandem trailer and as semi-trailer versions was the centre of attention. Many visitors were surprised about the advantages in terms of payload that the system provides. The forwarding agencies were especially interested in the semi-trailer versions of the transport system as they provide a further option for transport orders and therefore a utilization of the tractor units. The rental fleet of Combilift trucks and double-pocket devices available from spring 2019 attracted wide interest in this regard. Recently there was the affiliation of the company to the Hüffermann group. Shorter lead times are possible by the pooling of capacities of Hüffermann and Velsycon. A Combilift model series is also part of the manufacturer’s programme. The hook roll-off tipper assembly is unique and has the ability to move containers in three different directional axes. The Combilift system can pick up, place, put down and tilt swap-bodies and exchangeable silos of various standards. It can also, like a classic roll-off tipper, pick up and transport interchangeable containers according to DIN 30722 at a uniquely flat angle. When used as a silo truck in swap-body logistics the well-known rear stabilizers ensure a safe pick up and placing of the silos.